Going into the 2011 CCAA National Cross Country Running Championships in Kamloops on Saturday, both Wolves x-country teams were looking to significantly improve upon on their national rankings. By the end of the event, that mission had definitely been accomplished. The previously ranked 14th place Wolves women turned a lot of heads, ending up in 6th place. They were led by Maddy Clough’s 20th place finish. Clough clocked a season’s best time of 20:10 for the pancake flat 5 km course. Team mates Kayla Hardy (39th), Amanda Patteson (42nd), and Jackie Benning (46th) followed closely. Other Wolves finishers included Lena Farrow (52nd), Davis Alton (72nd ), Chassity Mohan (77th), Carrina Ness (101st), Erin Corcoran (102nd), Linnea Saltel (105th) and Calla Scott (107th). The race was won by last year’s runner up, Jodi Sanguin of Red Deer College. Humber College from Toronto won the womens team competion, edging out two Alberta schools, MacEwan University and Red Deer College, for the win. In the mens race, the Wolves placed 11th, two spots better than their 13th place ranking going into the meet. As usual, Devin Woodland led the way with an 18th place finish. Eric Martinek had his best race of the year, placing 45th, while rookies Duncan Farrow (57th) and Jack Carrigan (60th) also contributed strong efforts. Rounding out the Wolves finishers were Dylan Moerike (97th), Torleif Landsgaard (100th), Bjorn Carlstad (105th) and Evan Paul (106th). Augustana Faculty’s Andy Pohl upset Ontraio champion Clint Smith and ACAC gold medalist Peter Kayla for the mens individual championship. The team competition featured another upset as Quebec’s Ste Foy beat out defending champion Fanshawe College. A total of 224 athletes from across the country took part in the meet. Champlain College from Montreal will host next year’s championship. The CCAA meet marked the end of the x-c season for most of the Wolves; however, Kayla Hardy and high school runner Hayden Hollowell have one more meet this year. Both athletes will contest the Athletics Canada Junior Nationals Cross Country meet in Vancouver on November 26. X-C Notes: Former Wolves standout Fiona Benson, now running for Trinity Western University, placed 48th on Saturday in the CIS National University Championships in Quebec City. 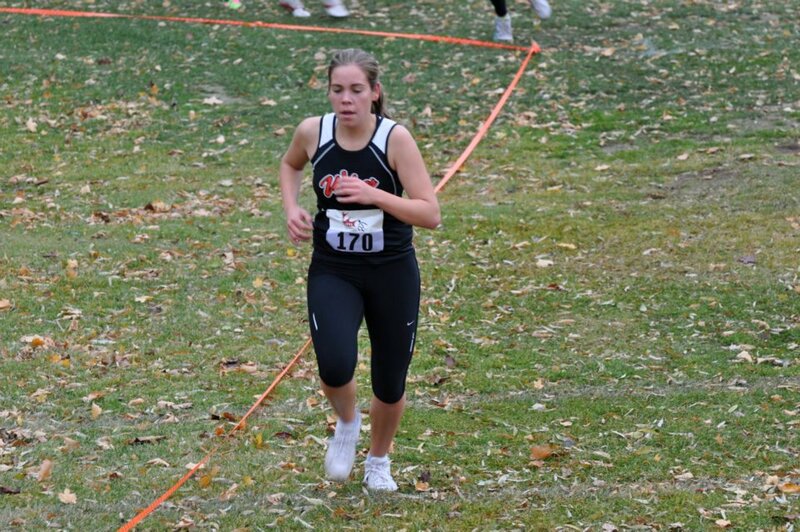 This entry was posted in Cross Country, Uncategorized and tagged ACAC, CCAA, Cross Country Running, GPRC Wolves X-C Running, Grande Prairie Alberta, Wolves. Bookmark the permalink.